Lemon isn’t sufficient to describe these cakes. 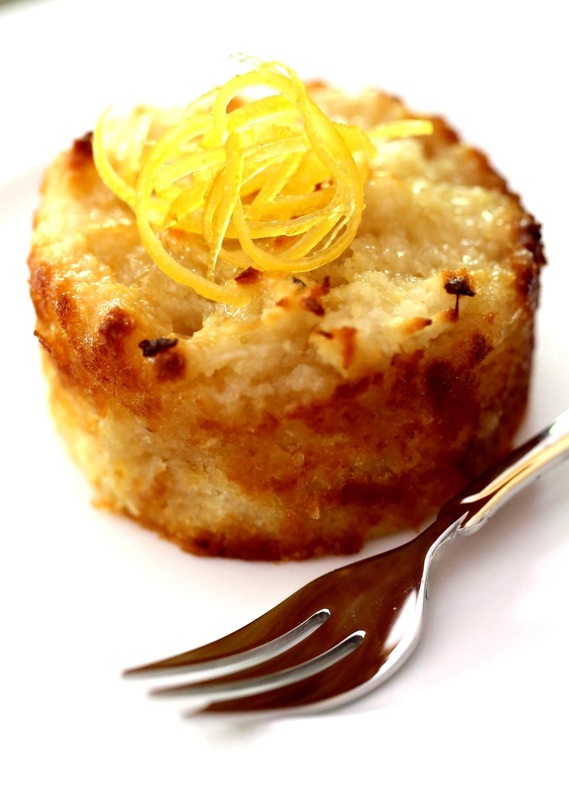 They’re sticky, sweet and dense with an intense lemon kick – a delightful lemon smackdown! I made these cakes to celebrate Game of Thrones (season 3) which started this week. This recipe isn’t the lemon cake from the official Game of Thrones cookbook A Feast of Fire and Ice As fun as it would be to own I have far too many cookbooks as it is. I also suspect this cookbook may not have many vegetarian options for me. Instead I have made my own based on Nigella’s Clementine Cake There is a faint bitter edge to the cakes, which I quite like, but if you are sensitive to bitter flavours you may want to add more sugar. If you would prefer a cake with a more subtle lemon flavour you could skip the second lemon and spoon over some simple sugar syrup over the cooked cakes. Do you have a favourite fiction inspired dish? Finely, finely slice one of the lemons. I highly recommend using a mandolin. Place in a glass or ceramic bowl with 110g of sugar; stir; cover with cling film and let it stand for about 24 hours. Preheat the oven to 170C. Line the base of four 1 cup capacity moulds (I used moulds with a loose bottom). Give the sugar soaked lemons a quick blitz with an immersion blender (or similar) if you want a smooth texture. Add the zest of the second lemon, almond meal, baking powder, cornflour and oil; stir. Divide the mix into the four moulds and bake for about 20 minutes. Place 1/4 cup sugar with the juice of the second lemon in a saucepan and cook until the sugar has dissolved and it is thick and syrupy. Remove them from the oven and pierce all over with a skewer. Spoon over the syrup. Allow to cool a little in the moulds. Serve with either cream or ice cream. Posted in Cakes & MuffinsTagged A Feast of Fire and Ice, dairy free, egg free, fictional food, food, food photography, Game of Thrones, gluten free, lemon, Nigella Lawson, vegan, vegetarianBookmark the permalink. Wow! This looks terrific! And I LOVE lemon. My son loves Game of Thrones . . . may have to try this. I think my favorite dish based on a work of fiction was “cream fritters” from the novel “Like Water for Chocolate” . . . reading and cooking, what could be better! I’ve never tried cream fritters! I will definitely try these sometime. I enjoy reading too, but I don’t have too many opportunities these days. 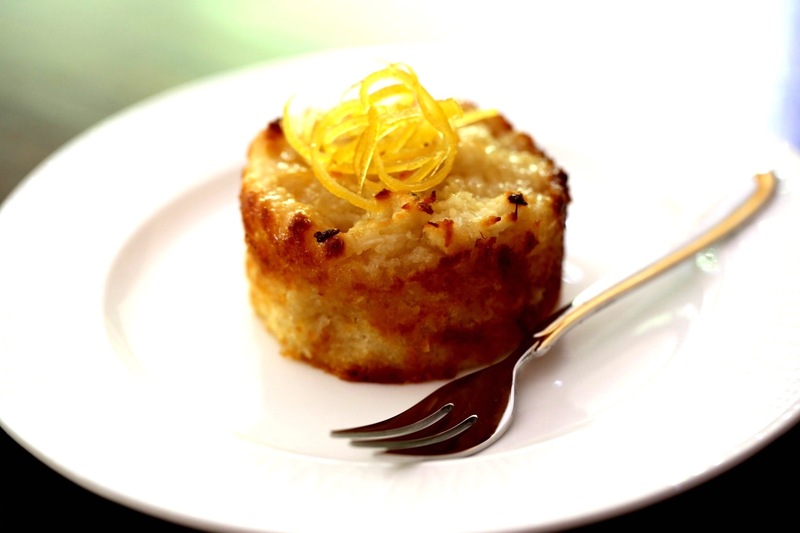 If you like lemon then this is definitely the cake for you! this looks really delicious Stephanie and your photographs are beautiful as ever. Do you really use the whole of the first lemon- peel and all?? I am certainly going to try it, I love lemony things. Yes, you use the whole lemon, peel and all, so it very lemony! Let me know how you go if you do make it.